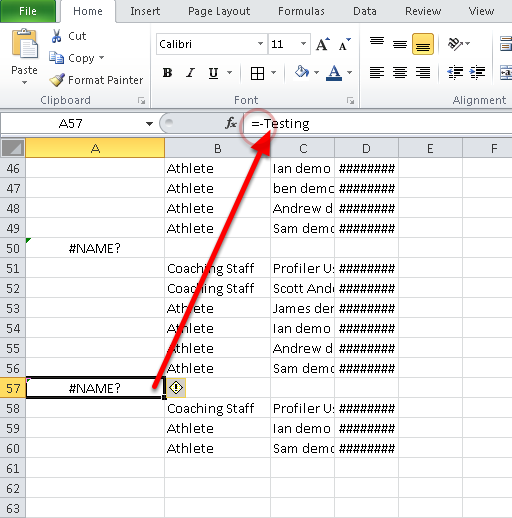 To have a complete review of which athletes are in each group and see who can access that group, the Group Audit capability was created. 2. 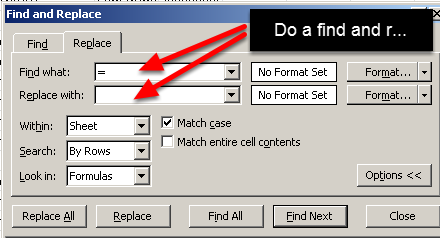 A .CSV report will be generated. 1. 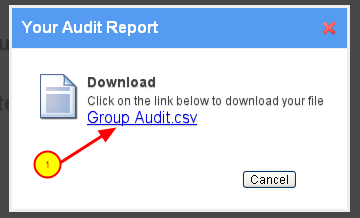 Click on the blue Group Audit.csv link to open the file. 4. All of the Coaching staff and Athletes in each group will appear. 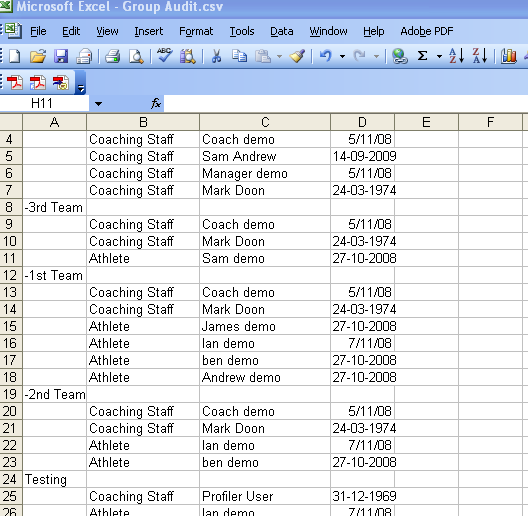 A complete list of all groups, Coaching Staff and Athletes will be generated to review. The name of the main group will appear and any subgroups will be show with a "-" in front of it, e.g. "-1st Team"
5. 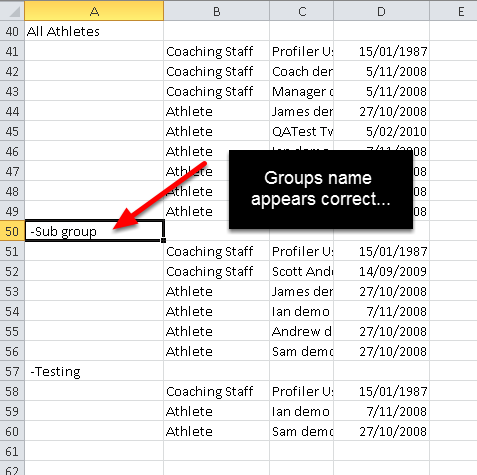 With the changes in Excel to Excel 2010, when you open the csv file some of the group names may not be showing correctly because the "-Name" is being referenced as an equation.